Francis Ford Coppola Resorts, Central America started to team up with Pack for a Purpose in 2013. Since then, our guests at the Turtle Inn in Belize have donated 354 lbs. 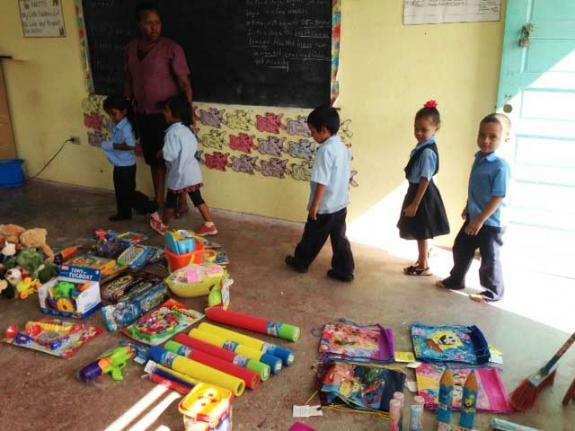 of supplies for local schools in Seine Bight, Placencia and Monkey River Village. Placencia Humane Society also continues to get a steady supply of pet leashes, medication, dog treats and toys which are being sold for small amounts in order to further fund the clinic. One of our guests pointed out this organization and I immediately contacted Rebecca Rothney to see what we needed to do to join. I come from a very active background in fundraising, hosting, chairing and organizing events to benefit local NFPs and NGOs and commend Rebecca for starting this amazing network to help challenged geographical destinations. It is brilliant and we are very happy to be able to contribute through our valued guests.